Will the contents of this bundle be updated if the component files are updated? I don't understand the complaints, unless you have all but two or three of these, it's worth the price (in fact the Hellfrost Atlas alone is worth more then the bundle). I plan on getting this tomorrow after I get paid. Sorry folks, but we're not changing the bundle. Even if you own some of the contents already, it's still a damn good deal. That's a pity. I would have purchased it if it was a proper bundle (giving credit for previously purchased items), but I have too many of these items already. You're quite welcome to purchase the individual items you want as they are all still available. Many thanks! If this is made an actual bundle, I'll get it. The other side of it being done like this is that if you buy this one and try to download the individual files you won't be able to. That's the nice things about the actual bundles. Agree that it'd be much more convenient to have a proper bundle so the files can be handled individually, zipped content is more of a hassle to manage. This would be nice for those of us who have purchased most of these products. It might still be a bargain for what’s left, but I’ll have to do the math. How long will this offer last? Would be great to get it updated to a real bundle, but I don't want to miss out either. Thank you. What a great deal! Tons of stuff. One small question: was the Incinerator's Handbook supposed to have a cover? It looks like the stand alone product does. I emailed TAG customer service. 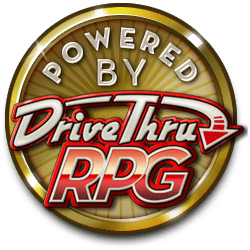 Please make as an actual DriveThruRPG bundle so discounts for previous purchases will apply. Please consider re-creating this as an actual DriveThruRPG bundle. Why is it that discounts for previous purchases are not listed? It looks like it wasn't created as an actual DriveThruRPG/RPGNow bundle, just a new product containing a several other PDF products inside a ZIP file.